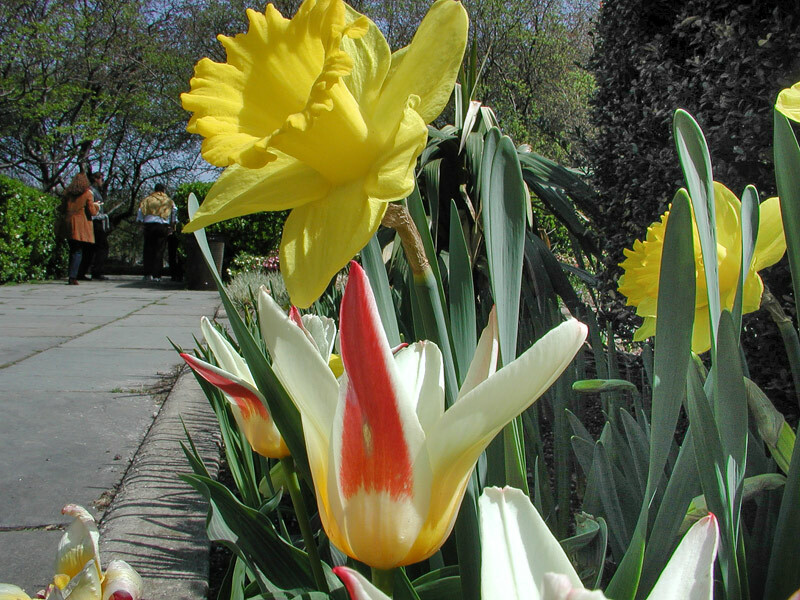 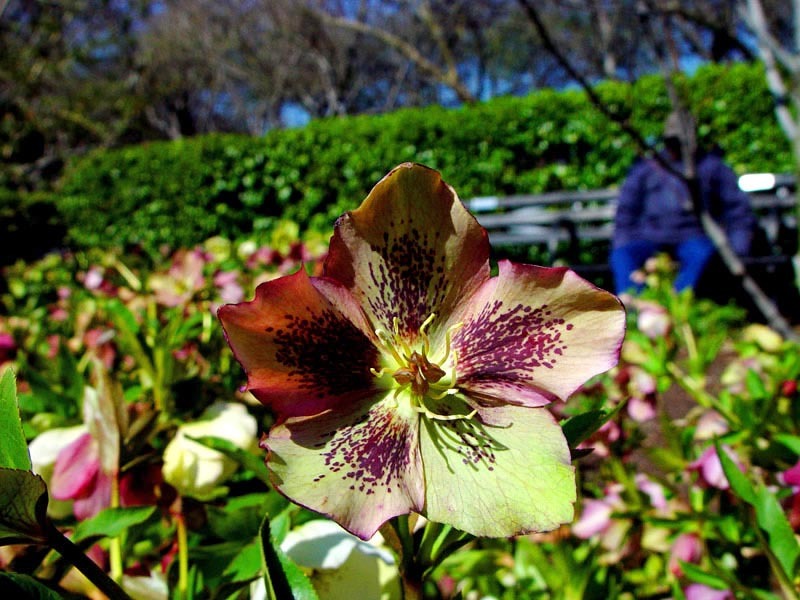 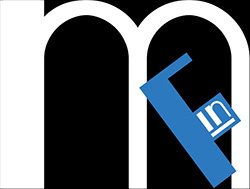 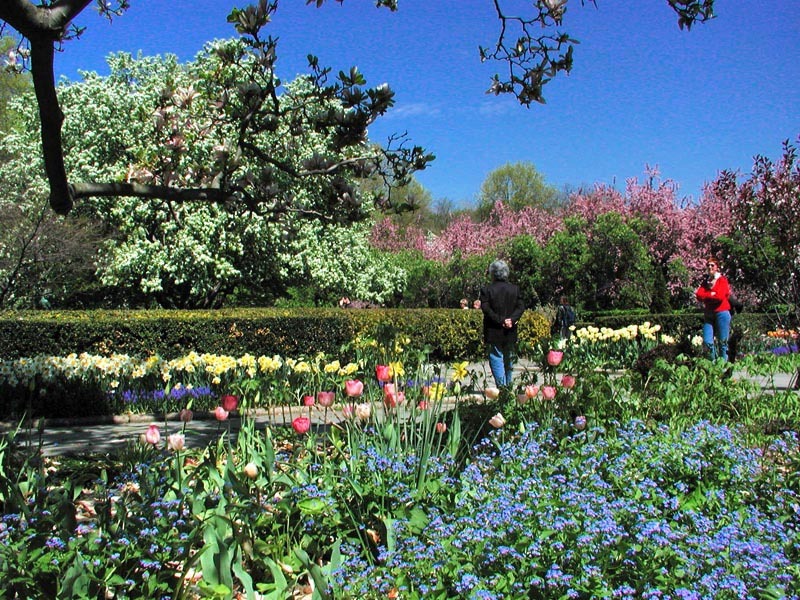 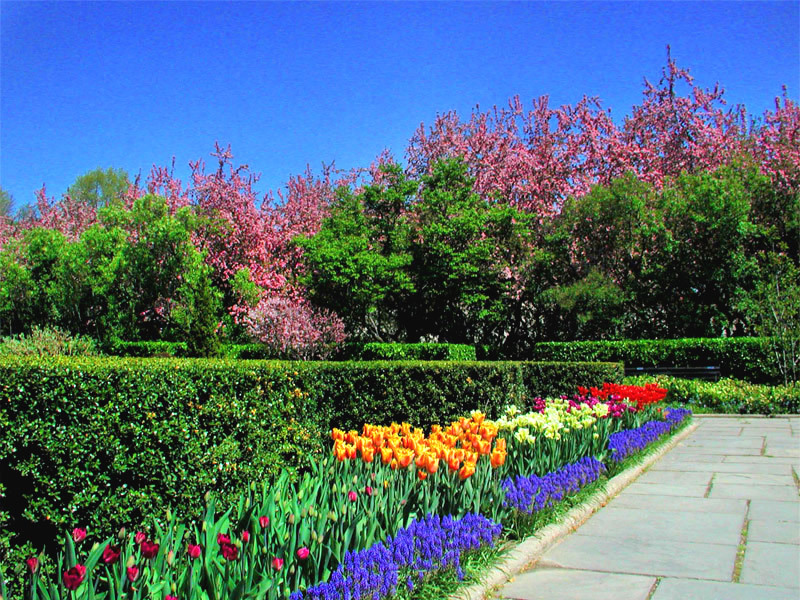 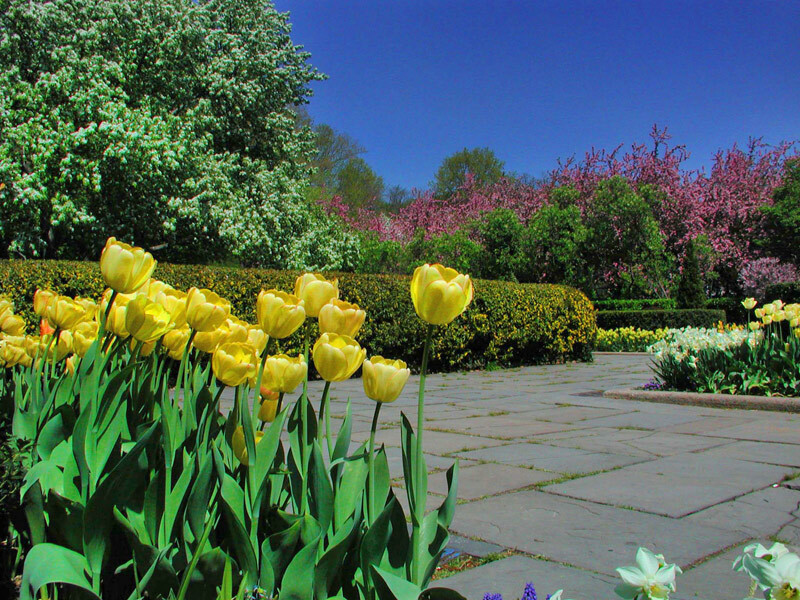 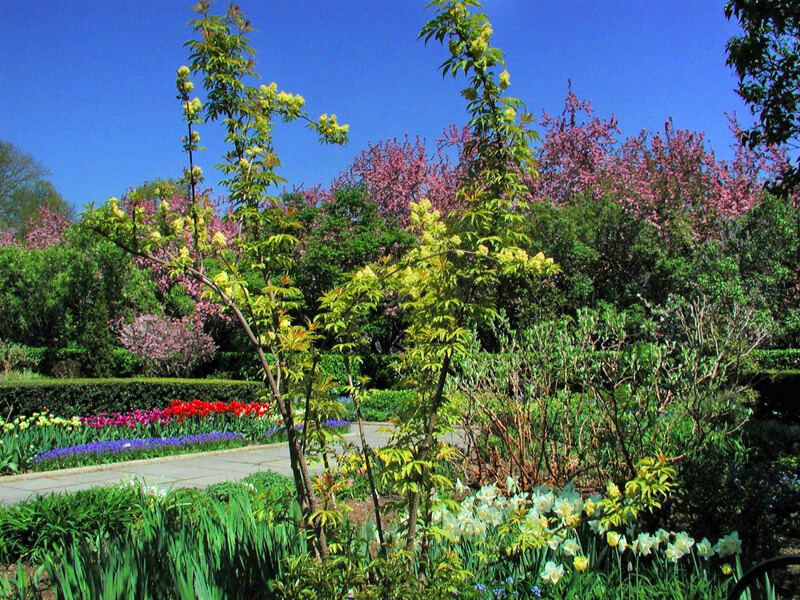 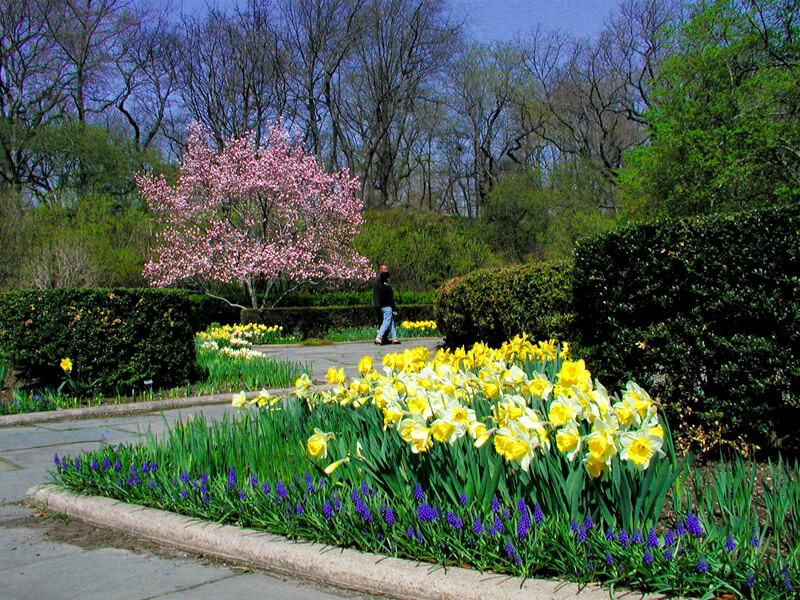 Miami In Focus Photo Gallery of the Conservatory Garden E105 South Garden in Central Park. 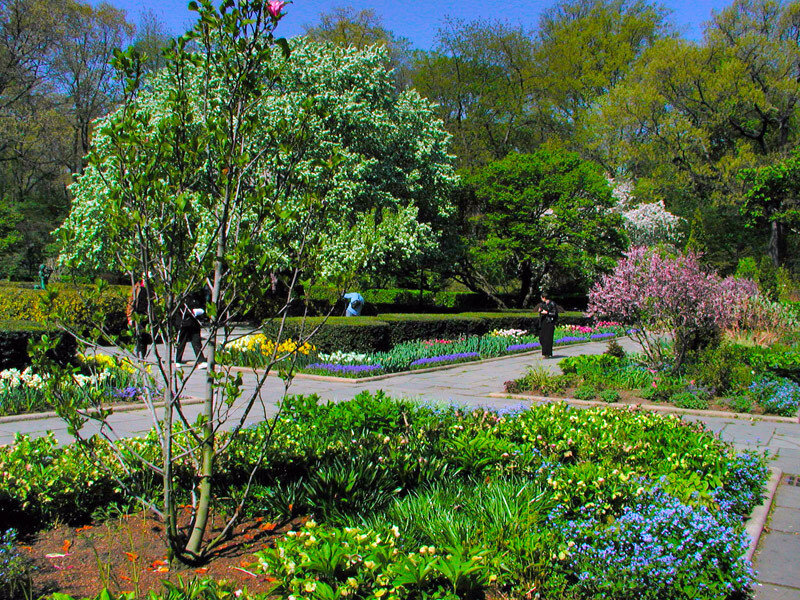 South of the Vanderbilt Gate is a classic English garden. 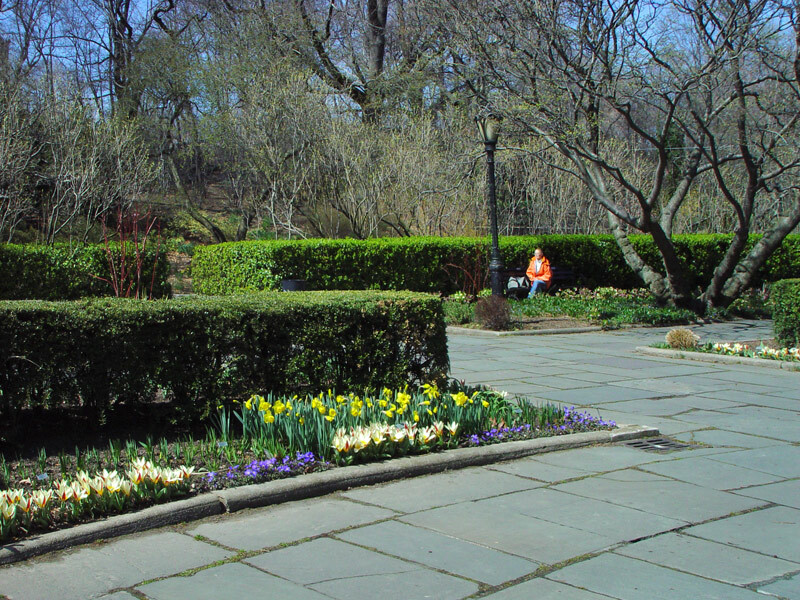 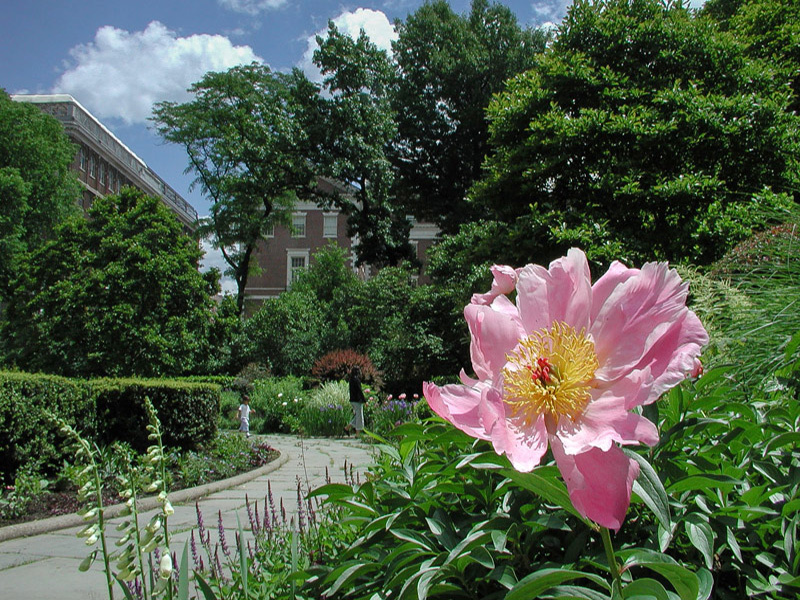 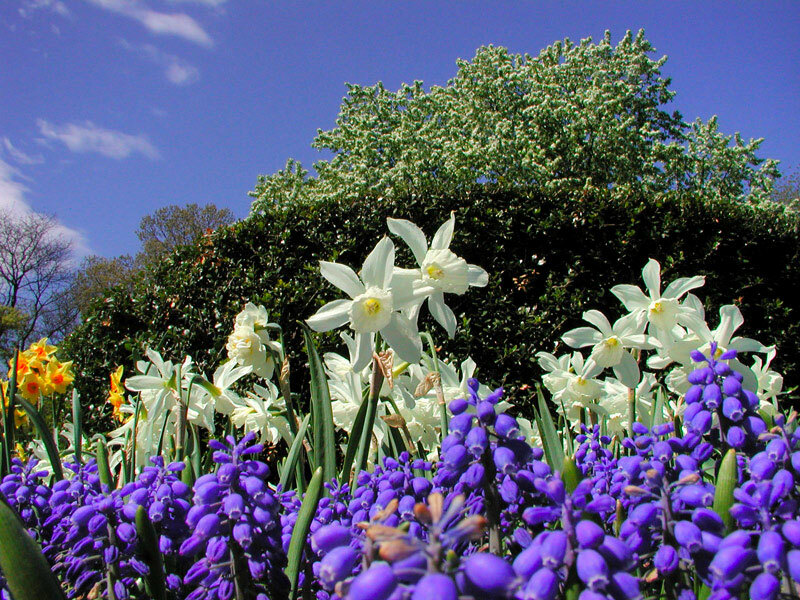 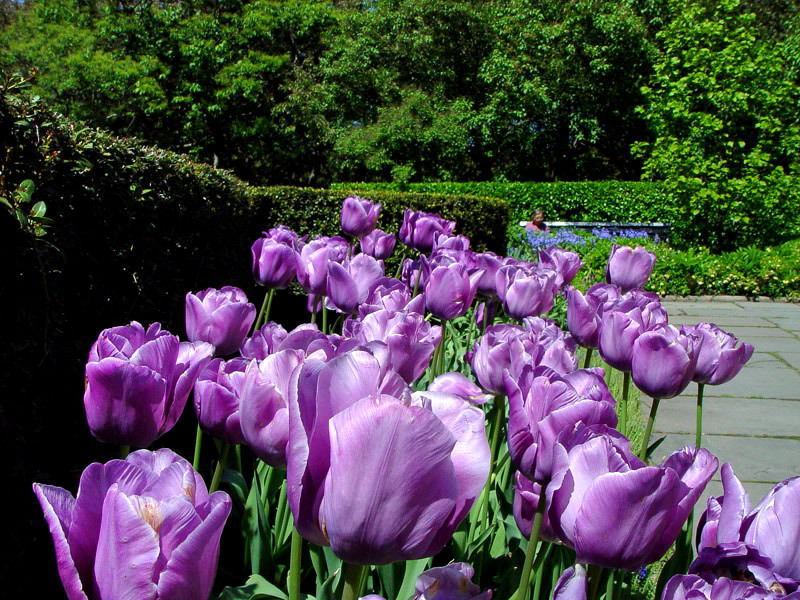 In 1983, a major renovation was performed in the South Garden when new flower beds were beautifully redesigned under the guidance of garden designer Lynden B. Miller. 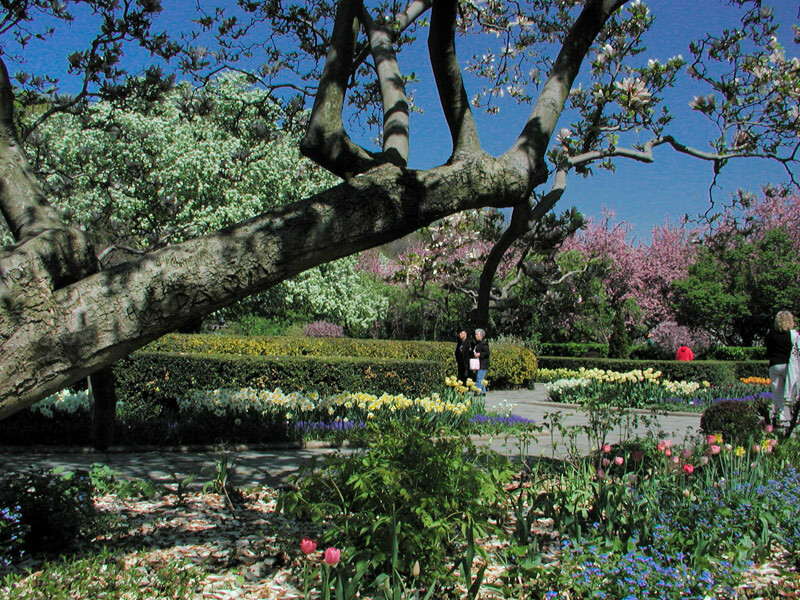 At its center is the Burnett Fountain festooned with water lilies in the summer and overseen by the two child characters from Frances Hodgson Burnett's book "The Secret Garden", Mary and Dickon. 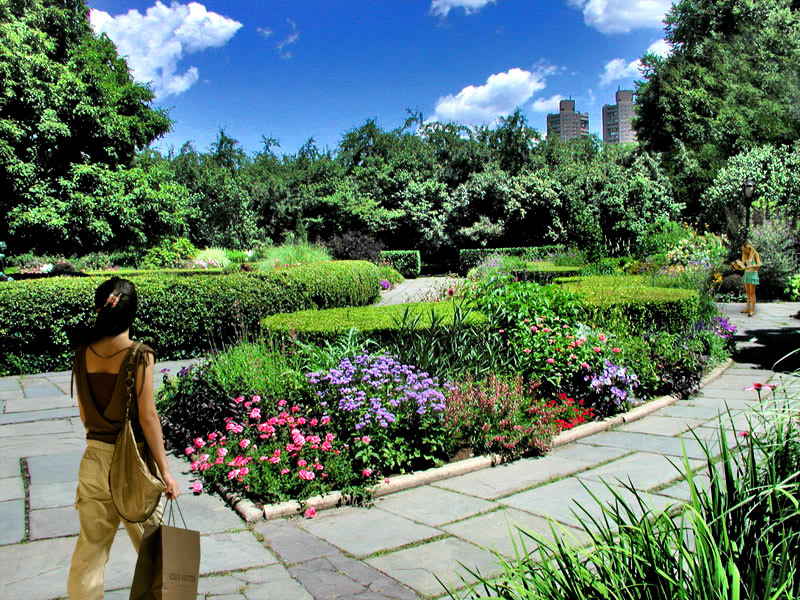 At its perimeter is a garden corridor of bushes and trees, which create a wonderful rustic ambiance to the studied geometry.